Join us in 2019 as we celebrate our seventh year of Surf 'n' Suds Beer Festival! Presented by Booze League! 11:30 a.m. - 4:30 p.m.
We have two great events in 2019! Save $$$ and purchase our Bundle Package for both events! Join us at THE ONLY BEER FESTIVAL IN VENTURA on Saturday, May 18th at San Buena Ventura State Beach! 11:30 a.m. - 4:30 p.m.
CLICK TO PURCHASE VENTURA TICKETS! Our Carpinteria Surf 'n' Suds event takes place on Saturday, August 10th at the Carpinteria State Beach! CLICK TO PURCHASE CARPINTERIA TICKETS! Proudly benefitting the Young and Brave Foundation! Over 75 craft breweries, ciders, kombucha, and wine will be on site! Over 200 different beers, cider and wine to sample from! Including Gluten Free beers! SOUL MAJESTIC will headline our Ventura Surf 'n' Suds and also feature the Flogging Seagulls and DJ Hecktik! Carpinteria will have Cornerstone and DJ Hecktik supplying the entertainment! 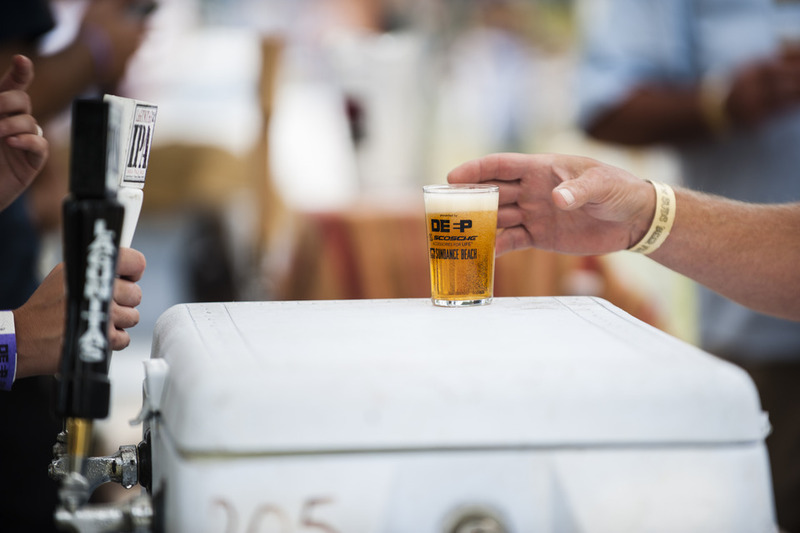 Surfboards shapers, local non-profits, awesome vendors and plenty of food trucks and restrooms make Surf 'n' Suds the top beer festival in the area! Plenty of shade, free water stations and if you have ever been to a Surf 'n' Suds Beer Festival, you know we don't oversell the event and make sure we have quality breweries on site. No long lines to sample beer, or to go to the restroom! Benefiting the Young and Brave Foundation, Surf ‘n’ Suds Beer Festivals have become one of the best beer festivals on the Central Coast. Voted Top 10 BEER FESTIVAL IN U.S. BY BEERYETI.COM! Follow us on Facebook and Instagram (@surfnsudsbeerfest) to get up to date information about ticket sales, contests and more! VIP entry 11:30 a.m. / General Admission entry 12:30 p.m. Rain or shine event. No refunds. No re-entry. Must be 21 or older to enter (no babies / infants/ children). Last pour is at 4 p.m.
We can't wait to see you and your friends! 11:30 a.m. VIP Entry / 12:30 p.m. GA Entry - 5 p.m. Copyright ©2019 Surf and Suds Beer Festival. All Rights Reserved.